It was in 18th Century France where Pierre Chorderlos de Laclos wrote the epistolary novel Les Liaisons dangereuses. The story revolves around the cunning exploits of the Marquise de Merteuil and the Vicomte de Valmont, conniving ex-lovers who resort to seduction and manipulation for cheap thrills. Their unwary targets: the conservative (and married) Madame de Tourvel and chaste Cecile de Volanges, who then falls for her music tutor Chevalier Danceny, a commoner. Written in the form of letters, the book was so popular, even Marie Antoinette was said to have a copy. It gained further traction during the French Revolution for lavishing on the decadence of the elite. Given that history, it’s easy to understand why the book spawned so many adaptations. The most notable of which is Stephen Frears‘ acclaimed 1988 film. Glenn Close (who had already shocked audiences in Fatal Attraction the year before) received her second consecutive Best Actress Oscar nomination for playing the scheming Mertuil. Michelle Pfeiffer, likewise, earned a Best Supporting Actress Oscar nod for playing Tourvel. 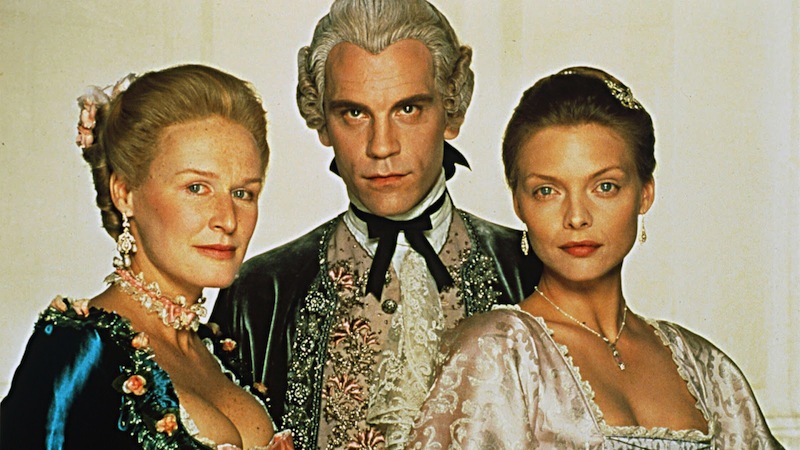 John Malkovich also excelled, although he was arguably miscast as the womanizing Valmont. While then-newcomers Uma Thurman and Keanu Reeves played the star-crossed lovers. More film adaptations followed, including Milos Forman‘s underwhelming Valmont, released a year later. Then in 1999, writer/director Roger Kumble relocated the story to modern-day New York with the critically-maligned Cruel Intentions. The Asian remakes were relatively more successful. In 2003, South Korean director E J-yong came out with the well-received Untold Scandal, which transported the story back to the 18th century, albeit set in his homeland. The most recent cinematic attempt was a Mandarin version starring Zhang Zi-Yi. Directed by Hur Jin-Ho, this 2012 version reverted to the original English title, except this time, the drama was set in 1930s China. It received critical acclaim and was screened in prominent international film festivals, including Cannes. The story also made waves in ballet and theater. Alan Rickman and Hugo Weaving played Valmont in London and Sydney stagings, respectively, while John Malkovich directed another version of the play in 2012. 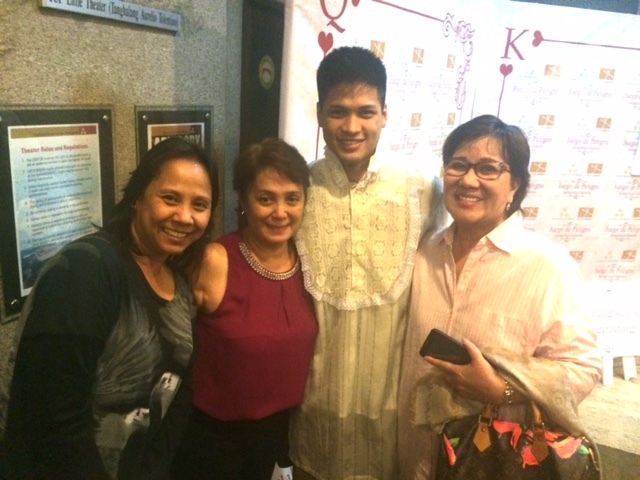 Hoping to follow suit is Tanghalang Pilipino’s Juego de Peligro, which began staging in CCP’s Tanghalang Aurelio Tolentino last February 20. In this stage adaptation, writer Elmer Gatchalian and director Tuxqs Rustaquio remounted the story to 19th century Philippines. Given this new milieu-of-choice, Merluit and Valmont were re-imagined as scheming peninsulares Señora Margarita and Señor Vicente. As for the unsuspecting victims, Tourvel is now Señora Teresa, a mestiza, while Cecile is now Cecilia. Bringing the scandal and intrigue of de Laclos’ novel to the Spanish occupation period was no easy undertaking. At times, you will feel the strain. Fortunately, the production is buoyed by the performances of the leads. Shamaine Buencamino, who celebrated her birthday yesterday, is charismatic and powerful as the cold and calculating villainess. It’s a departure from the roles I’ve seen her play, but she’s ever-reliable. 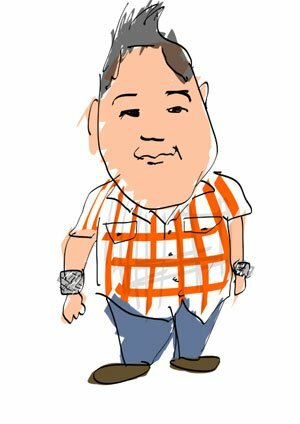 Arnold Reyes, on the other hand, gives apt justice to the duplicity of his character. His presence is commanding. Also, he has the costume-changing prowess of an Olympian. We didn’t get to see LJ Reyes‘ portrayal of Teresa, which has been earning raves. Nevertheless, Valerie Concepcion, yesterday’s alternate, was also commendable. 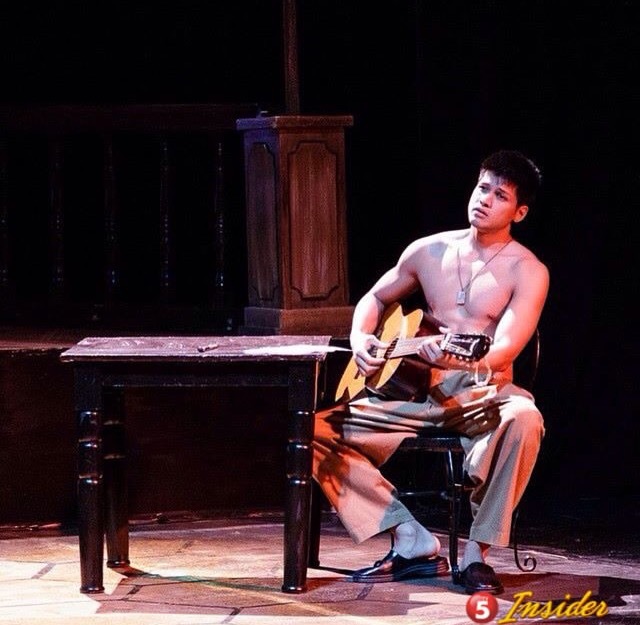 Juego also marks the stage debut of our talent Vin Abrenica, who plays the indio equivalent to Chevalier Danceny. It’s his first time to act in a medium other than TV (Fine, second, if you count his music video), but he knows how to showcase his strengths – especially in the scenes that require shock value. Despite its occasional lulls, Juego de Peligro is still an entertaining curiosity piece. Fans of the source material will find the attempt at translation interesting. First-timers might be intrigued. Win-win. For tickets, call Ticketworld at 891-9999 or 832-1125 loc. 1620 or 1621, or log on to http://www.ticketworld.com.ph.